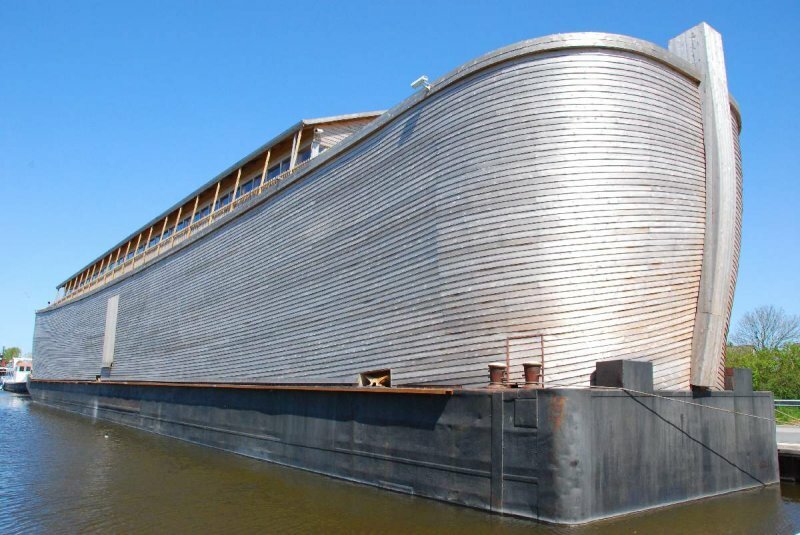 Premise: A “For Dummies ” book author is approached by God and told he has to build an Ark. About: Passion of The Ark sold for 1.5 million against 2.5 million back in 2004. 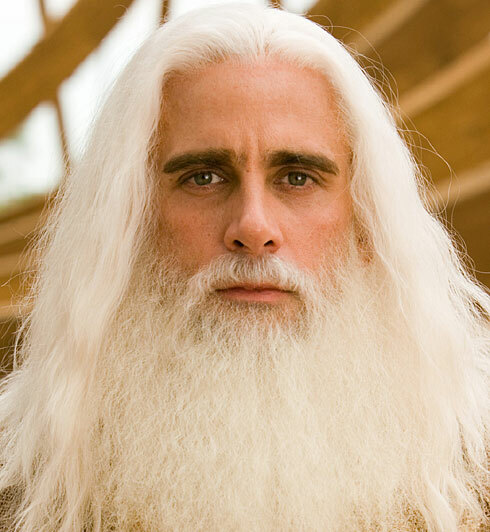 When Universal wanted to explore a sequel for its Bruce Almighty “franchise,” they decided to rewrite this script as a vehicle for Almighty co-star Steve Carrell. The film had a troubled production that went way over budget because of all the CGI animal stuff, and after doing poorly with preview audiences, Universal panicked and spent a large portion of their marketing budget on the Christian crowd. The film eeked over the 100 million mark domestically, which would’ve been okay if the budget had been $50 million, not $200 million. Co-writer Bob Florsheim went on to write a remake of “To Catch A Thief ” as well as “The Spellman Files ,” and co-writer Josh Stohlberg has a solid half dozen produced credits, including Sorority Row and Piranha 3-D . Oh, by the way, the two (at least at the time) have the distinction of selling the highest priced spec script ever for unproduced screenwriters. However, neither of them were associated with the Evan Almighty rewrites. Details: 113 pages, April 12th, 2004 draft (This is an early draft of the script. The situations, characters, and plot may change significantly by the time the film is released. This is not a definitive statement about the project, but rather an analysis of this unique draft as it pertains to the craft of screenwriting). 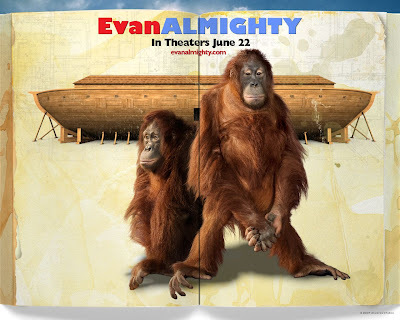 There were a lot of problems with the conception of Evan Almighty . It started all the way back with its predecessor, Bruce Almighty, which simply wasn’t a very good movie. Check that, it was a genuinely bad movie – a film conceived by everyone involved to basically allow Jim Carrey to do his “Liar Liar ” thing. But if you look at the screenplays for those respective projects, you’ll notice that one has an inherently sound execution, and the other a disastrous one. Liar Liar is about a lawyer who lies to get through both his job and his life. What’s the worst thing that could happen to a man who depends on lying? He can’t lie of course. Right there, you have a movie. Now look at Bruce Almighty. Bruce is a…weather reporter who, um, chokes under pressure… So what’s the worst thing that can happen to a weather reporter who chokes under pressure? Why, they become God! Err, wait, that’s not the worst thing that could happen to that person. That’s actually the best thing that could happen to that person. That’s the best thing that could happen to any person. Wait a minute, how is this a movie again? You catch my drift. People came to see Liar Liar 2. Instead they got Jim Carrey doing desperate stand-up for 90 minutes. So to create a sequel to something that was a bad idea in the first place, base it on one of the secondary characters in the previous movie, and then ask us to buy that this previous character had somehow morphed into a senator…well, you see how this was a bad idea from the get-go. But! What about the original spec screenplay? The one that sold purely on its merits alone – long before a creative exec named Dodge came around and said, “Why don’t we rewrite this into a sequel of that bad movie that everyone hated?” – You had to assume that that script was a lot better, right? That’s the beauty about the spec script. You get to write whatever you want and no studio people can screw it up cause they don’t own it yet. This is why I wanted to read The Passion Of The Ark. Jeremy Lambert is a longtime author of the “Any Schmuck Can” book series. Jeremy’s written over a hundred books about how to build houses, how to use a computer, how to date girls, etc., etc. Jeremy’s teaching schmucks everywhere how to run (or is it “ruin”) their lives. Of course, Jeremy isn’t actually good at any of these things. He’s just good at writing about them. The Seattle native is trying to keep his life as a single dad together as he parents his unpopular 11 year old daughter, Becca, who reads Emily Dickenson for fun. We’re not sure when, but Jeremy’s wife died a long time ago, and yet still, here he is, no new women, terrified to jump back into the dating pool. Eventually Jeremy runs into a weird woman who looks like Barbara Streisand. She tells him that she’s God and that he, like, has a duty to the world. The next thing Jeremy knows, he’s receiving blueprints in the mail for an Ark, and 3 million nails are being dumped onto his front lawn. And, oh yeah, did I mention it’s been raining in Seattle for four straight weeks? 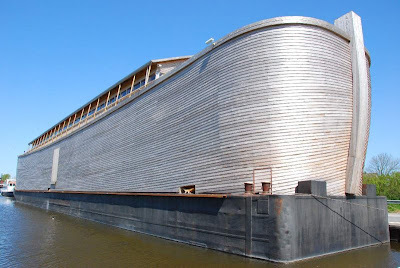 Jeremy, convinced he has no other choice but to build the Ark, goes to his buddy Felix for help, who tells him he’s going to need 189 million dollars to construct the thing. So what happens? They win the lottery the next day – for 189 million dollars! God drops by to tell him that building this Ark isn’t his only job. He’s also responsible for finding two of every animal on the planet. That includes…HUMANS! Ahh, finally, some sort of human-related element makes it into the plot. In order to “save” the human race, Jeremy must find a female mate to join him on his ark. Well, let’s just get right to it, shall we? This wasn’t very good. I mean I understand why a producer or a studio would get excited over it. It’s definitely a movie. It’s a big high-concept idea. There’s a clear goal. You can imagine a lot of “movie moments.” But everything I just listed in those last three sentences is ALL you get with Passion of The Ark. There’s no heart here. No depth in the characters. No command in the execution. No details that show the writers really cared about their idea. It starts at the top. The idea itself is too big. You see that right away when you begin to actually think about what’s going on. Jeremy is building a ship to save existence. Which means that everybody else is going to die. Friends, family, governments, everyone. Yet this is never addressed. Nobody ever calls to say goodbye to grandma. Jeremy never warns his country that they’re about to go underwater and die. It’s just ignored. And I know this is a fun comedy but you can’t simply ignore the ramifications of your concept. It doesn’t work like that. Next, the entire script is run on Jay Leno humor. You know what I mean by Jay Leno humor? The safest possible humor you can think of. You know you’re running on Jay Leno humor if you’re using Britney Spears jokes, and low and behold, there are Britney Spears jokes in Passion of The Ark. I practically expected Jeremy to start doing headlines at one point. There wasn’t a single risky joke in the entire script. And giving this a PG rating is not an excuse. I see risky jokes in Disney movies, in Pixar movies, in Dreamworks Animation movies. Every joke here is so uninspired, it actually hurt me. And as predictable as the jokes are, the plot is even more predictable. You’re 6,000,000 miles ahead of the writer every step of the way with everything going exactly as planned. There isn’t anything in the script to make our hero’s journey difficult! For example, he’s told that he needs 200 million dollars to build the ark. So what happens? God gives it to him in the form of winning the lottery! Doesn’t even have to lift a toe for it. It’s done for him. Wow, that certainly creates drama. The first complication in the entire script doesn’t happen until page 90, when the police and Jeremy’s annoying neighbor close down production on the ship. Page 90! I’m still trying to figure out why Jeremy has to build the boat in the first place. There’s no convincing reason per se. He’s just doing it because God says he should. The stakes for this affair? If he doesn’t build it, everyone dies. If he does build it, everyone dies. Aren’t those the same? And what does Jeremy’s job have to do with this story? He writes “For Dummies” books. How does that coincide with a man who has to build a boat? Wouldn’t it make more sense if he was a slacker? Someone who’s skirted responsibility his whole life? And now he’s responsible for building something that’s going to save humankind? Even the animals felt like an afterthought. Like, “Oh yeah, we gotta get these animals in too.” No scenes showed how difficult it was getting the animals, of course. It was all done in the background, via phone calls and the internet. This goes back to my big problem with everything. The idea was bigger than the writers wanted to commit to. Finding two of every animal is not something you casually take care of in your spare time. So then the question is, what *did* the writers do right? I mean this thing *did* sell for the going rate of a 2 bedroom lot on Venice Beach, didn’t it? I guess they got the structure right. Everything here is where it’s supposed to be (Blake Snyder to the rescue !) and I have to remember that that’s a lot easier said than done. Most amateur scripts I read have major structural flaws, and the fact that this didn’t says something. So I’ll give Florsheim and Stohlberg credit there. However, in the end, this was such a generic execution of the premise that I can’t endorse it. Was hoping for something good because you want to point to a 2.5 million dollar sale and say to new writers, “That’s how you do it.” I can’t do that here. What I learned: So why did this sell then? Well, I did a little research and found that Ark went out right on the heels of the shocking success of The Passion Of The Christ . It looks like it was one of those perfect timing things. Still, I wouldn’t use Ark as an argument for why your script doesn’t have to be very good. One of the biggest mistakes young writers make is cherry picking bad movies and bad scripts and using them as the mental bar for how good their script needs to be to sell. Instead of picking the worst stuff as your bar, pick the best. As tempting as it is to think otherwise, and despite evidence occasionally suggesting the contrary, nobody goes searching for that really mediocre script for their next splashy 1 million plus dollar purchase. Carson's Top 10 Scripts Of The Year! Last Second Holiday Shopping and The Wish List! The Full 2010 Black List With Thoughts! 2010 Black List is here!